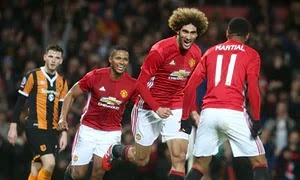 Manchester United demoralizes Hull City 2Nil in their first leg encounter of the EFL CUP semi finals with goals from Juan Mata and Super Sub Marouane Fellaini, winning 12 out of their last 15 fixtures is a sure way to prove that Jose Mohrinho is still the Chosen one. Manchester United are energetic right from the start, and in the first ten minutes already entertained two close chances, Zlatan out, Rooney Starts, having a chance to surpass Bobby Charlton's United all time Goal record. Manchester United on their way to the EFL CUP final find themselves entangled with a first half draw with Hull City after a wasted first 45 of misused chances which with normal situations would be a great fall for Hull City. 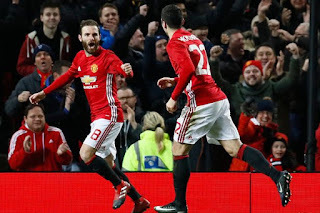 Mata, Henrikh Mkhitaryan, Wayne Rooney, Rashford all had Chances in the first 45, but failed to make use of them, also a good staged up defence by Hull has kept United Frustrated after the Half time Whistle, this leaves us only the last 45 for this segment of the Semi Final to be concluded. Juan Mata makes the difference after a 56 minute frustrating United dominated Football, an assist by Henrikh Mkhitaryan who sends a pass across to the well positioned Mata for a poking finish. 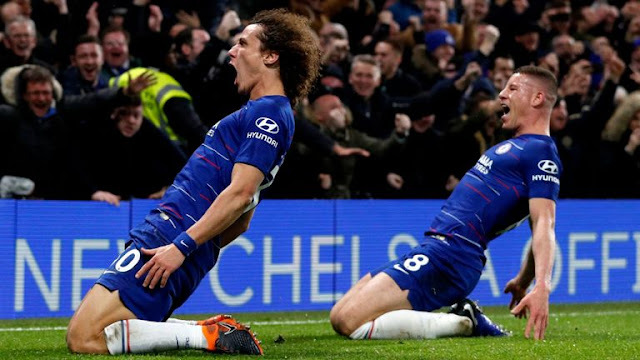 The goal Scorer got substituted, Mata for Fellaini in the 79th Minute, who in the 97th minute makes the game 2nil for United, assisted by Damian's nice cross for Fellaini's Bouncing header sending the ball to the left side of the net. Manchester United will now Wait for a return leg at Hull before concluding their place in the EFL CUP final, but right now they should now get ready for their League show down with Liverpool on Sunday.